Branding based on the best information. 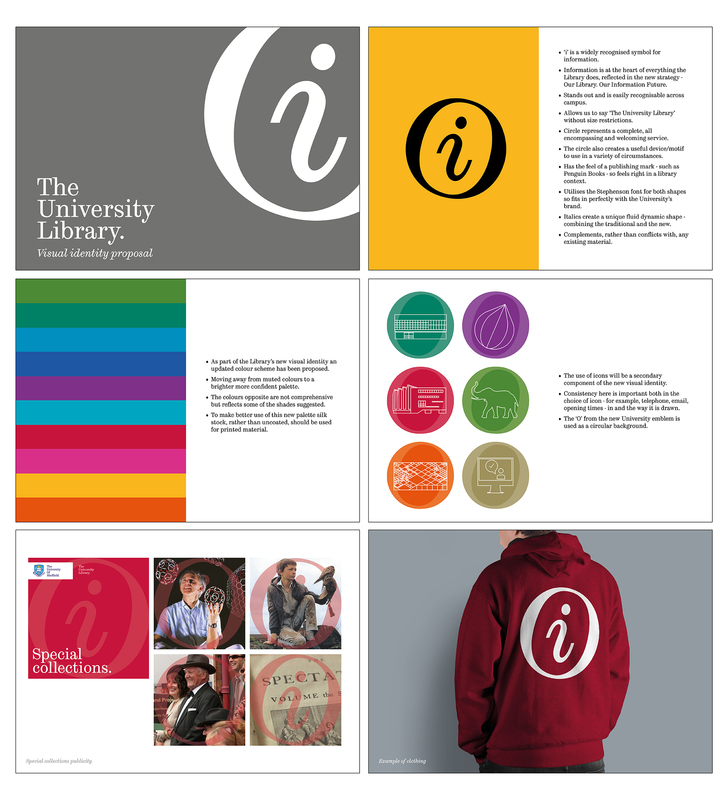 With a great working relationship with the University of Sheffield, as well a strong understanding of the requirements and restrictions of the project, we were delighted to be selected as the studio to work on a major branding and identity project for The University Library. The Library needed an identity to bring together the whole range of its activities in a way that students would feel comfortable with. It needed to build on their already excellent reputation, but not confuse or contradict the University’s existing, overarching visual identity. We conducted a series of focus groups with staff and students to gain a better understanding of the requirements, as well as to provide everyone involved with a stake in the process. After digesting all we had learned, we realised how crucial the role of information was in this project. As a result we came up with a simple and straightforward ‘i’ device, which could be incorporated across all material – both online and off – and would be immediately identifiable. We also provided other aspects such as imagery, typography and iconography as well as producing comprehensive and clear guidelines to help staff implement the new look. If you’re looking for help with branding your organisation, we’d love to find out more. Go on, get in touch!